A peek into the prime minister's campaign the last fortnight would throw up at least half-a-dozen falsehoods. The polling in Karnataka has finally come to an end. And people have got the much-needed relief from all the sound and fury accompanying elections in recent times. Polls in India have of late become full-fledged wars with allegations and counter-allegations flying thick and fast in all directions. Indeed, ever since Prime Minister Narendra Modi emerged on the national scene in 2013, Indian elections have undergone a change of character and evolved into a more vitriolic exercise. While it was a bit of novelty for the general public in the days leading up to the general elections of 2014, things are getting much more sinister by the day. One wonders how things might go further downhill in the days leading up to the next general election. Apart from all those familiar digs at his political opponents, Prime Minister Modi also finds it necessary to go back in time to the pre-Independence era to make his point. The least one would expect from such ungainly revisiting of history is a strict adherence to facts and absence of fabrications. But it seems Modi has no qualms stooping with his barrage of concoctions and misstatements. Like many of his political opponents, this writer too suspects some of these misstatements to be deliberate and wilful. A simple peek into the prime minister's campaigning over the last fortnight leading up to the Karnataka poll would throw up at least half-a-dozen falsehoods. While speaking at an election rally in Kalaburgi, the prime minister was quoted as saying, "Karnataka is synonymous with valour. But, how did the Congress governments treat field marshall Kodandera M Cariappa and general Kodandera Subayya Thimayya? History is proof of that. In 1948, after defeating Pakistan, general Thimayya was insulted by PM (Jawaharal) Nehru and defence minister Krishna Menon." It did not matter to the prime minister that general Thimayya was the army chief from 1957 to 1961 and VK Krishna Menon India's defence minister from 1957 to 1962. It did not matter to the prime minister that he was uttering blatant lies to score political brownie points. Is it all right for the prime minister of the country to be a purveyor of falsehoods and fake information? Shouldn't the word of the prime minister carry more weight? As if it were not distasteful enough for the prime minister to try and extract political mileage out of India's bravehearts, isn't it akin to dishonouring them and their achievements when you make false statements about incidents involving them? The prime minister's reimagining of history did not stop at this. Another blatant falsehood involved freedom fighter and revolutionary Bhagat Singh. "When Shaheed Bhagat Singh, Batukeshwar Dutt, Veer Savarkar - greats like them were jailed fighting for the country's independence, did any Congress leader went to meet them? But Congress leaders go and meet the corrupt who have been jailed," Modi said at an election rally in Bidar on May 9 referring to Rahul Gandhi's visit to AIIMS to meet Lalu Prasad Yadav. The fact that his predecessor Jawaharlal Nehru himself narrated an account of his visit to the Lahore Central Prison in his autobiography did not matter to Modi. It should also not escape our attention that the prime minister's bracketing of Hindutva icon "Veer" Savarkar with Bhagat Singh may not be innocuous. A few untruths that did not involve historical figures went fairly unnoticed in the midst of all the other controversies. 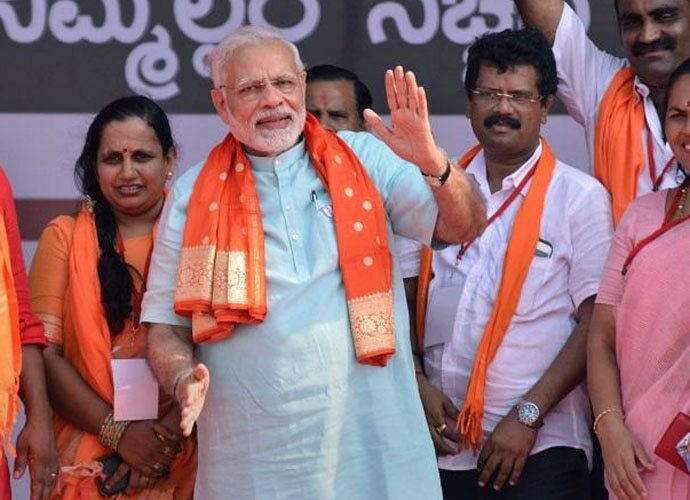 At a rally in Bagalkot on May 6, Modi said, "It has always been the tradition that those who lose in elections accept defeat and peacefully transfer power. But after 2014 Lok Sabha election results, Congress politicians, the mother and son, did not even have the courtesy to congratulate the party that won." He went on, "The arrogance of Congress party is at its peak, a Dalit mother's child, raised in a village became the president (Ram Nath Kovind) and it should have been their responsibility to make a courtesy call, but they did not like it. It has been a year, but madam Soniaji did not get time to make a courtesy call to the president." Both these assertions were found to be false. Even if we ignore Modi's taunt at Rahul Gandhi to speak for 15 minutes in a language of the latter's choice - raking up his mother's Italian ancestry in the process - as a part and parcel of such vicious election campaigns, there can be no debate on the tastelessness of it. The false claims were certainly not a one-off and seem to clearly follow a pattern. But the frequency of such claims aimed at making gains at the hustings has gone up in recent times. One has to only rewind to the Gujarat Assembly election in December to recall some of the vilest innuendos involving former prime minister Manmohan Singh and ex-vice president Hamid Ansari - accusing them of conspiring with Pakistan to humiliate him and his party. Never before in the history of our nation have we witnessed such a debasement of discourse - that too, with the prime minister himself lowering the bar with alarming frequency. Since Modi is not known to make statements of regret or show contrition, it was left to BJP leader and finance minister Arun Jaitley to make a statement in Parliament on the prime minister's behalf to lay that controversy to rest. For a prime minister to make a one-man show of election campaigns -even the provincial ones - might be odd enough. But the profusion of falsehoods and character assassination of respectable people, both living and dead, is a matter of deeper concern. 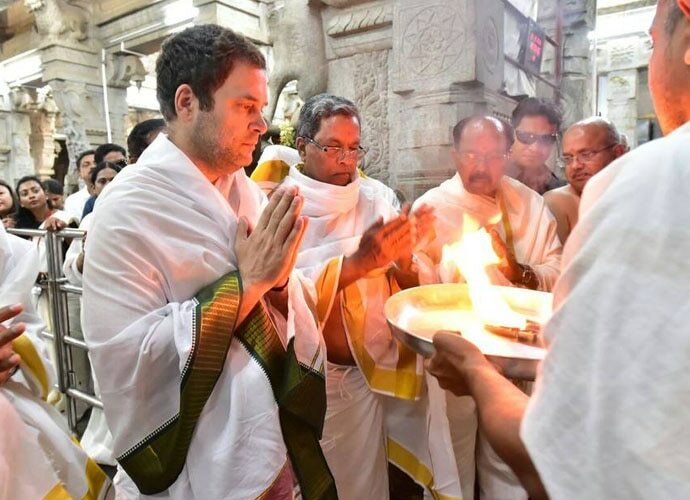 Thankfully, the more communal "Shamshan-Kabristan" sort of dog whistle politics that played out in Uttar Pradesh, which culminated with the swearing-in of a Hindu monk as the state's chief minister, was not unleashed in Karnataka. As Gujarat chief minister, Modi probably had more leeway to indulge in such communal politics but is a prime minister expected to stoop to the level of an Rashtriya Swayamsevak Sangh pracharak to winning a state election? It might be too much to expect politicians to uphold moral values in present times. But they can at least try to keep the discourse civil and desist from making false claims and resorting to character assassinations to score brownie points. One merely wishes for the prime minister to take note of Voltaire's maxim: "With great power, comes great responsibility."